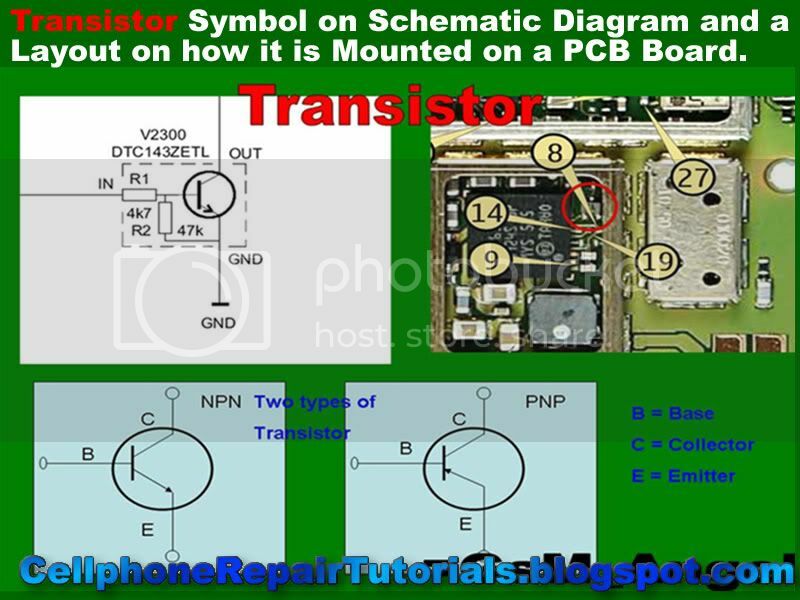 How to Identify Component Symbols on Schematic Diagram? 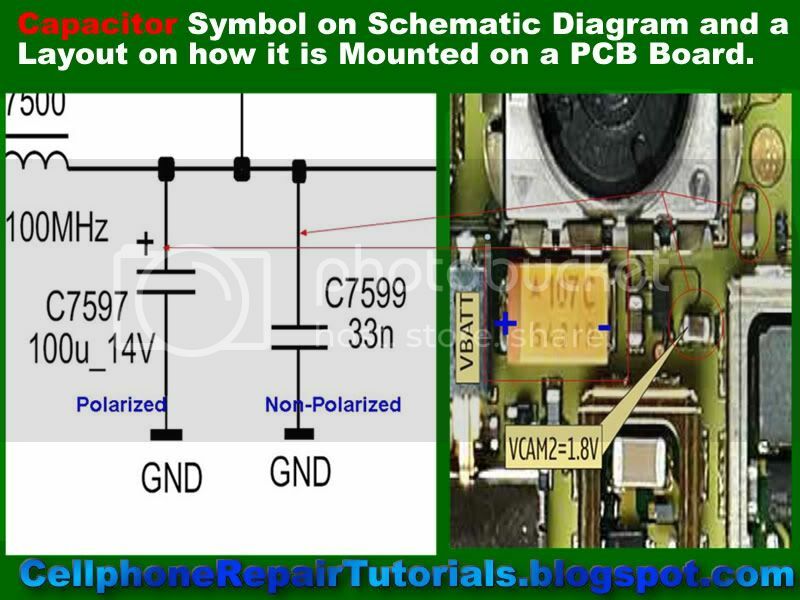 Identifying with Symbols on Schematic Diagram is very easy task, it's just like reading ABC's on English alphabet. Since we are talking about mobile phone's circuit here, we are going to tackle only on its symbols being used herein, unlike in some major electronics components which have a lot of component symbols. Mostly, because Cellphone circuits have a lot of Integrated Circuit ( IC ) meaning the circuits is being compact into a smaller circuit to produce, and save a very small space to put a huge circuit connection into one tiny piece of circuits. 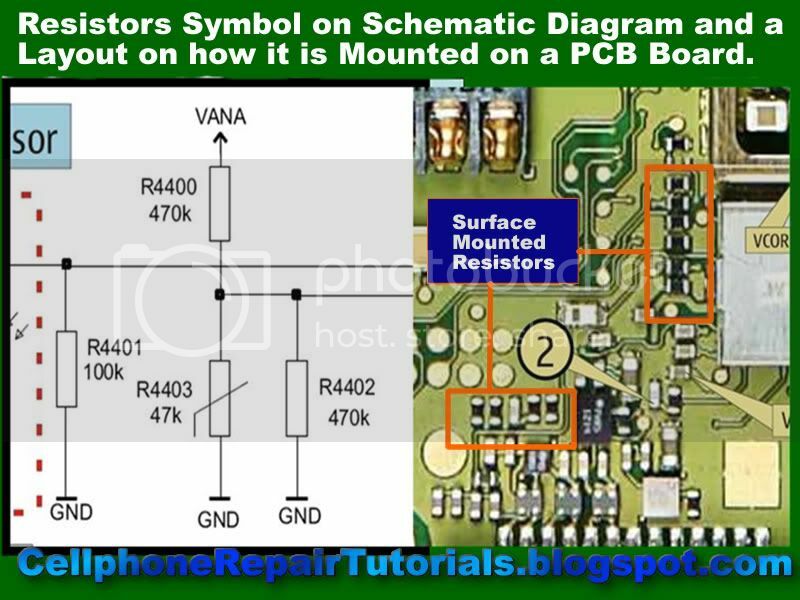 I have inserted the Layout of each component and how it's look's like mounted on a PCB ( Printed Circuit Board) for better and easiest way of understanding. Simply Click on Its Components Category for more Detailed Infos. 1. Please register with valid email. 2. Use Thanks buttons to say thankyou or your post will be deleted. 3. Spamming is not allowed.. Spamming post will be deleted. 4. All posts must be written in English. All times are GMT +7. The time now is 07:26 AM.